All supplies are Stampin' Up! except where noted. I really love this vintage Santa and girl image by Inkadinkado that I stamped in Brown Sugar ink on Crumb Cake cardstock, then inked the edges with Tim Holtz distress inks of Tea Dye and Old Paper. Highlighted a few parts of the image with Prismacolor pencils. Background is Christmas Collage on Naturals Ivory, Champagne glimmer paper and last year's snowflake brads with some retired ivory ribbon to embellish. Today's tags use the single Stampin' Up! 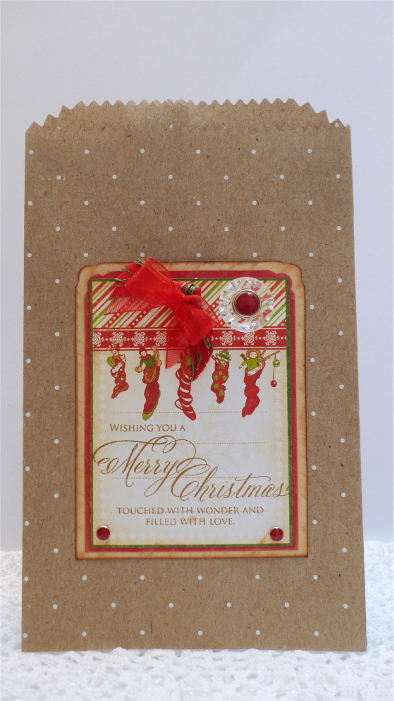 Dasher stamp (retired) with various card stocks, ribbon, twine, and embellishments. I found an old Fossil watch box that is the perfect size to add the tags for gift giving. 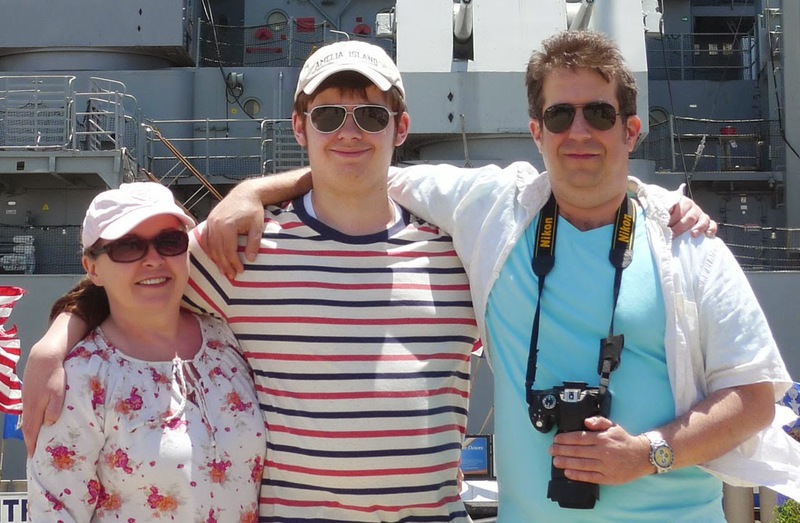 (Pictured below). The following is an embroidery project of mine that I wanted to share, I love the vintage holiday toys! I have had this snowman paper for years and it was in my donate pile, I changed my mind and retrieved it to make these envelopes. 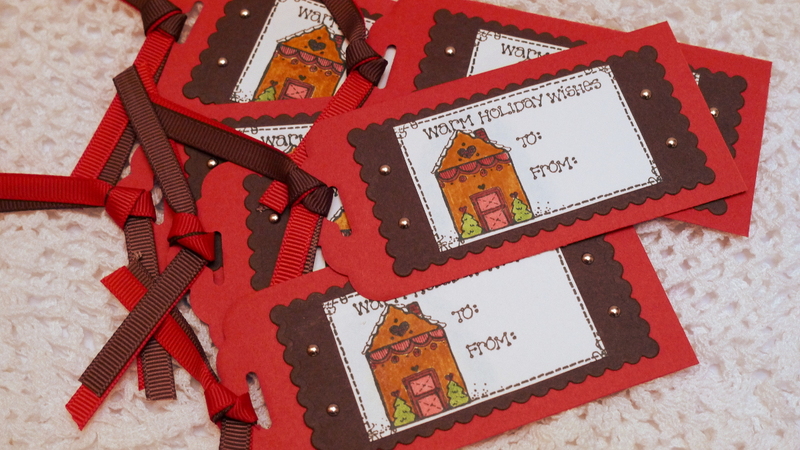 The tags were today's design with a holiday stamp from Joann's. New Stampin' Up! 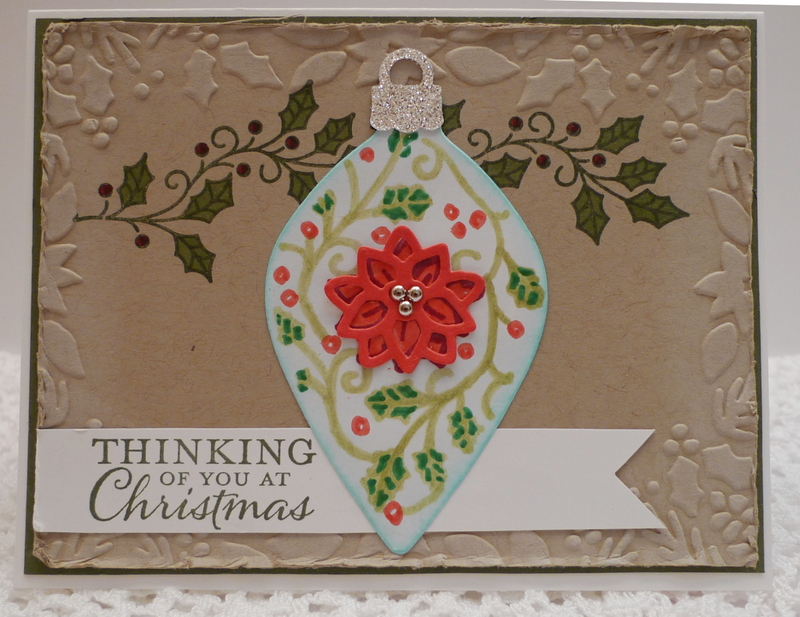 holiday mini catalog supplies used were Peaceful Pines stamp set with coordinating dies. Soft Sky and Whisper White card stocks, white embossed snowflakes are from an older retired set (Trees Three) that seems too timeless to get rid of, I love the snowflakes and the sentiments on this one. I love giving tags to friends and family for the holiday season, it seems you can never have enough of these and they are so much fun to make. I try to do about about 8 a day, various designs. This cute gingerbread set is from Inkadinkado. Added lots of glitter and used a few different punches for edges. I hope you stop back, I'll be using some new Stampin' Up! holiday mini items that have been begging to be used. I stamped a sheet of this holiday sentiment in Pool Party and Indigo and made tags out of them (8 per sheet of Whisper White). New embossing folder shaded with pastel chalk, pool party taffeta ribbon to embellish. The tag is loosely adhered to the card with some dollar store foam adhesive which can be easily pulled from the card where there are two strips of adhesive tape waiting to be peeled off and attached to a package. Supplies are Stampin' Up! 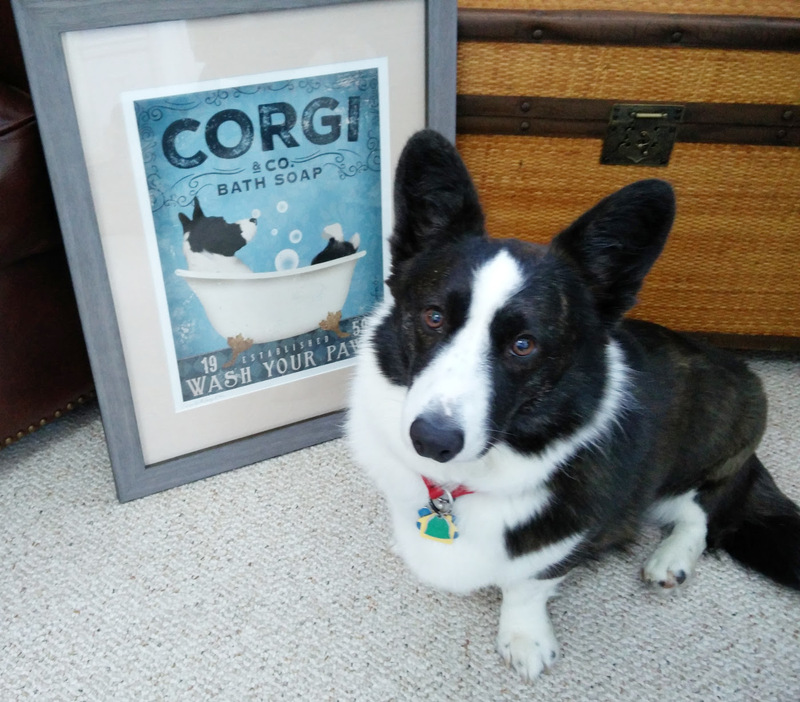 I've been working on some handmade holiday gifts. This is an album/box that I decorated with Graphic 45 papers, Webster's Pages ribbon, chipboard tree, rosette made from same paper collection, with an antique brad from SU. On to the inside, which will be an accordion style photo booklet. 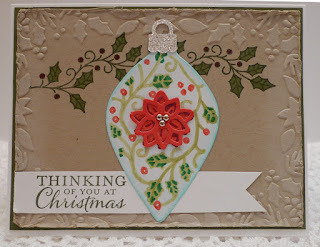 This card was made using the Ornament bundle from the Stampin' Up! Holiday mini. I used the new embossing folder on Crumb Cake card stock and swiped some craft white ink over the raised design. Stamped the ornament in a pale color and colored in the design with alcohol ink markers, cut with framelits ornament die, hanger in glitter paper. Stamped holly in Artichoke (matte framing same color), colored in leaves and berries. Cut a poinsettia out of Real Red and attached it with silver mini brads. Using up some scraps to make some Christmas gift tags, it's not too early to get started apparently. It seems the holiday season starts earlier every year, we were seeing Christmas merchandise weeks before Halloween. Sheesh. I found this cute little gingerbread house stamp at my local thrift shop and I couldn't resist it. I love, love gingerbread anything :) Colored images with Copics and used Stampin' Up cardstocks, mini brads, tag top punch, and grosgrain ribbons. I am going to add some Dazzling Diamonds highlights to the roof and ground near trees. It is so easy to make your own envelopes with pretty papers, these pumpkins will be for Thanksgiving cards I will be making this week. I unfolded an envelope and used that as my template, I will add a small white window for the address so I don't annoy the Post Office. I simply could not resist this sweet little stamp set by Darcie Heater Designs. The matching pin buttons for the face made me smile and I think my Batman fan son will get a kick out of this. This card will go into his next college care package. I used SU Yoyo Yellow card base with one of their new black and white designer papers, border is Real Red and Basic Gray cardstocks that were punched with a Martha Stewart punch. Colored with Copic markers. I picked up a sheet of Graphic 45 Christmas paper and made this easy Christmas project using a Stampin' Up! polka dot gift bag, vintage button with miscellaneous brads and ribbons from my studio. Sentiment from Penny Black.